Warning: The truth can be stranger than fiction! 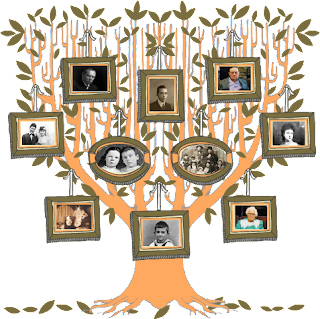 If we are honest, most people who look into their family roots are not just hoping to discover where their ancestors came from but what they might have got up to. Nobody really believes that they will stumble across a forgotten "family pile" or an unclaimed inheritance, but the prospect of a bit of mystery or salacious gossip, and the odd skeleton in the cupboard does add spice to the search. And maybe, just maybe, somewhere amongst those generations of lost ancestors they may stumble across a story which is worth turning into a novel for a wider audience to enjoy. My late husband and I shared a mutual interest in genealogy, and I was an aspiring historical novelist. I felt that I had won the jackpot when we shook our family tree and a convict fell out. Back in 1810, hubby’s four x great-grandfather was convicted of Northumberland’s most notorious robbery: £1,157 of rent money was stolen from the local manor house. Our Jamie Charlton was found guilty of the crime and sentenced to transportation to New South Wales, Australia. But Jamie was not just any old criminal. According to the judge at his trial, the mystery of the burglary at Kirkley Hall had never been properly solved. Even by Regency standards Jamie’s conviction was dodgy, and there was a public outcry amongst the influential and literate middle-classes following the trial. A subscription was raised to pay for his appeal and the case became a local cause célèbre. We had uncovered a potential Regency miscarriage of justice and the perfect plot for a historical novel had just landed in my lap. We spent years researching the facts and minute details behind this story. We found newspaper reports, transcripts of the trial and an eighteen penny pamphlet written about the case which was sold to raise money for Jamie’s appeal and to support his wife and five young children. Bit by bit, the story came together. By January 2009, I had enough information to start writing the novel – and then the real hard work began. Originally, I began Catching the Eagle with a scene where our impoverished ancestor asks for credit in a local haberdashery. He is refused by the owner and thrown out of the shop. I then went on to show him in conflict with his nemesis (the evil steward, Michael Aynsley) and arguing with his wife about their dire financial situation. All these incidents were based on fact and the dialogue between the characters discussed events which we had meticulously researched. I thought that they established the main characters, highlighted the poverty in rural England in 1809 and gave great background to the plot. Fortunately I had a lot of honest, helpful and constructive criticism from friends, family and other authors. The feedback I received from my readers went along these lines: "You’ve promised us the story of Northumberland’s most notorious Regency robbery and a miscarriage of justice - but you take ages to get there. You need to move quicker towards these events – that’s your story, not Jamie’s credit rating." Yes, it hurt. Novelists need a thick skin. But eventually I heeded their advice, dropped the first two chapters (10,000 words) and began the novel on the day of the robbery. It worked; I got a publisher. Fiction readers (and fiction publishers) look for drama, tension, strong characterisation, a plot which enthralls them and reaches a satisfactory emotional conclusion. A novelist needs to subtly blend the historical detail into the narrative and remember that in fiction, the plot must always come first. As I showed above with the tale of my first three chapters, minute historical detail or flying off on a tangent can slow down the pace of the narrative and damage any chances of publication. The family historian who aspires to become a historical novelist sometimes needs to distance themselves from their research, keep their head above the genealogy parapet and focus on the main event. This can lead to tough decisions about what to put into the book and what to leave out. Who to leave in and who to leave out is another issue which also crops up. They had big families back in the nineteenth century and most of them were called "John." A cast of thousands may have worked well in the Bible but it rarely works in modern fiction. The habit of naming children after other family members helps genealogists trace their relatives back through the centuries but if you have a mother, grandmother and a daughter all called "Ann" in the same book, it confuses the hell out of the reader. Fortunately, novelists can use artistic license. In Catching the Eagle I changed names, killed off some characters early and brought forward a wedding by three years. I did this because I wanted the fun and the emotional high of the marriage celebrations to fit in with a chapter which was essentially "the calm before the storm." Fiction – even a novel based on a true story - is for storytellers, not historical record keepers. 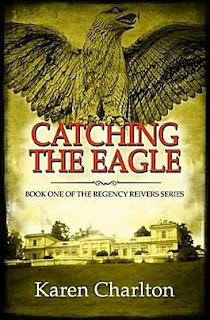 Catching the Eagle was eventually published on 8th December 2011, by Knox Robinson Publishing. They have also published my latest historical crime fiction novel, The Missing Heiress. This second novel is pure fiction and was a joy to write. It flew off my keyboard like silk, and I completed it in ten months. It‘s a Regency whodunit revolving around the mystery of a beautiful heiress who vanishes from a locked bedchamber. As far as I was concerned, there were only two policemen in England who could crack this mysterious case: Detective Stephen Lavender and his sidekick Constable Woods. Lavender was the real-life Bow Street policeman who had a minor part in my first book. Ultimately, Stephen Lavender was the man who charged our ancestor with stealing the Kirkley Hall rent money and placed him in the dock - but I’ve never held that against him. I became really fond of these two characters. I particularly enjoyed the humorous banter they shared and I didn’t want to let them go after I had completed Catching the Eagle. Lavender was the natural choice for the detective in my second novel. In my mind, he had grown from an interesting minor character to a fully-fledged and fascinating protagonist. However, even with a purely fictional novel, I still found that I was influenced by the stories we had uncovered in our genealogical research. Another one of our Charlton ancestors had written a rather startling Last Will & Testament two days before he died in 1770; this poor man didn’t trust his own offspring as far as he could throw them. This document inspired me to create the dysfunctional Carnaby family of Linn Hagh who feature in The Missing Heiress. I included this will - nearly word for word – in the novel. Unfortunately, this was one of those times when the truth was definitely more idiosyncratic than fiction. The editor at Knox Robinson did not appreciate the archaic legal terms or the erratic eighteenth century grammar and punctuation and she changed it. Yes, using family history in novels can be a frustrating process at times! Thank you so much for this fascinating look into your creative process, Karen! I think most genealogists have "name problems." When my mother and grandmother were sleuthing our family history, their problem name was "James." The women tended to have the interesting names-- like "Mourning Sylvania Jane." 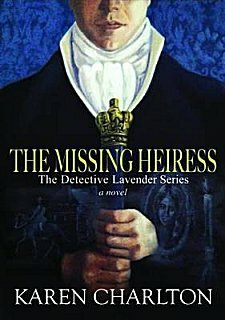 Don't forget to stop by tomorrow for my review of Karen's pageturning historical mystery, The Missing Heiress! Cathy - Thanks for sharing Karen's post with us. 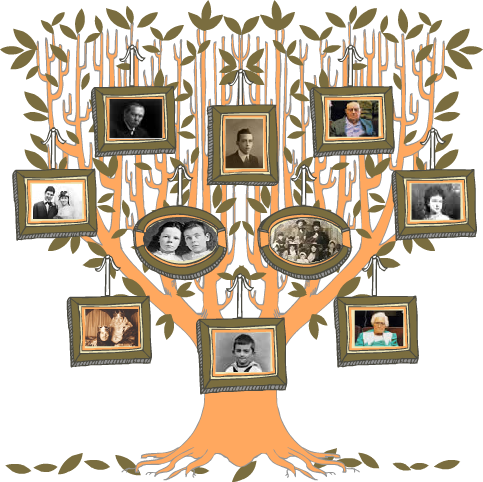 Karen - Thanks for giving us a 'behind the scenes' look at the way you used family history for your novel. It's absolutely fascinating! Margot, I loved the way Karen incorporated her family history into the books, and I was so pleased that she could write this blog post for us! This is a very interesting post. In my family history there is also a truth stranger than fiction story. It gives me the chills to think about it. I would love to turn it into fiction but have no clue where to start. Also would have to make a tremendous amount of changes to the story. This story has been sitting in the back of my mind for such a long time. Should it stay there? I know that I'm not a published author, Carol, but I would say if the story refuses to leave your mind, you should at least give committing it to paper a shot. You never know what may happen!